PUNE: In a move to fight anti-incumbency, four sitting lawmakers have been dropped in the latest BJP list for Maharashtra for the Lok Sabha elections that begin soon. Pune MP Anil Shirole has been dropped and the ticket has now gone to Maharashtra Minister Girish Bapat. In total, six sitting MPs have been dropped. 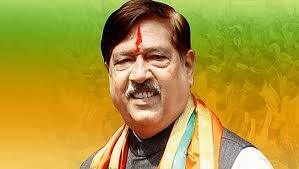 Girish Bapat had wanted to contest from Pune in 2014 but Anil Shirole was preferred over him. This time, however, the BJP feels Bapat will a better candidate to take on the NCP-Congress combine, which is yet to announce a candidate. After being denied the Lok Sabha ticket in 2014, Bapat later won the assembly elections from Kasba in a tough poll battle with MNS candidate Ravindra Dhangekar, who has now joined the Congress. Bapat, by virtue of being the guardian minister for Pune, is a more recognized face in the city and he also holds the important food and civil supplies portfolio in the state. He had faced flak for being on a junket abroad during the Tur dal procurement crisis in the state in 2017.